Download "1. 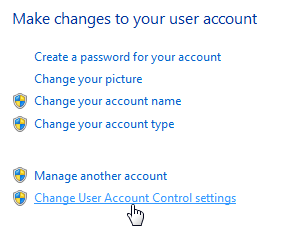 Navigate to Control Panel and click on User Accounts and Family Safety. 2. 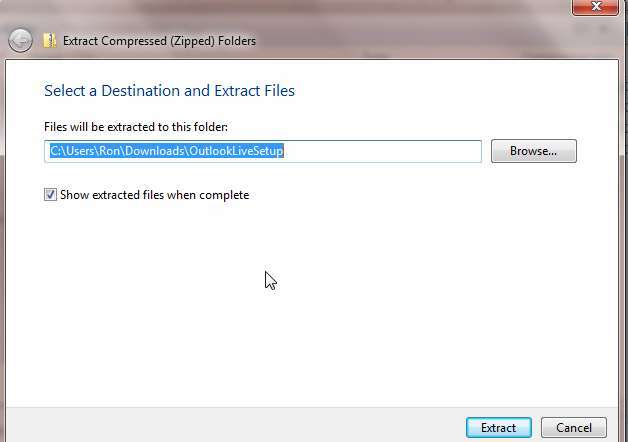 Click on User Accounts"
3 Step 2: Download the Compressed file (you can use WinZip, WinRar or any other file decompression program) To install WRAPmail for Outlook or Windows Live click on the following link Configuration tool for Outlook and Microsoft Mail See screenshots on the following pages and an important statement about Sender Policy Framework (SPF) at the end of this document. 4 Save this Zip file to a folder of your choice. 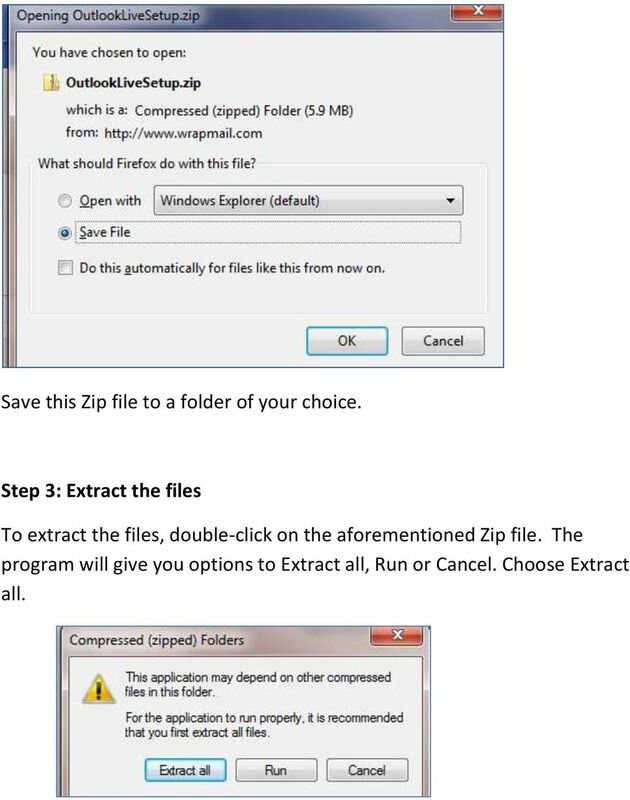 Step 3: Extract the files To extract the files, double-click on the aforementioned Zip file. 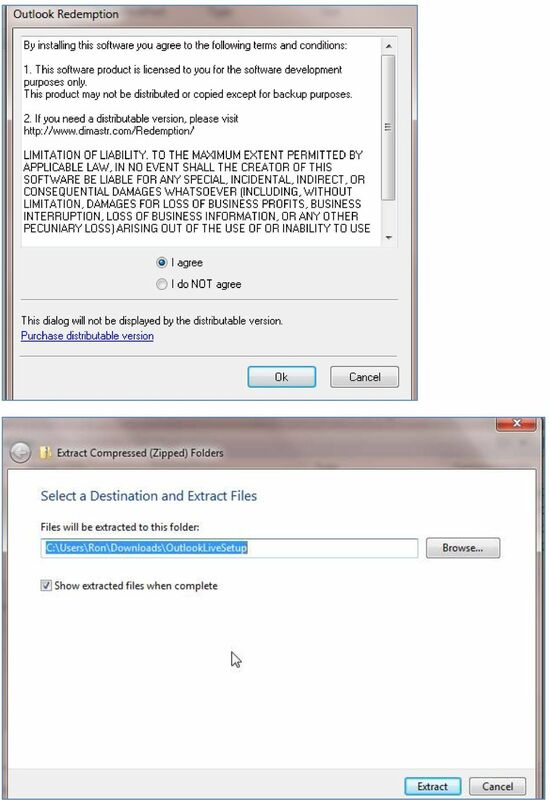 The program will give you options to Extract all, Run or Cancel. Choose Extract all. 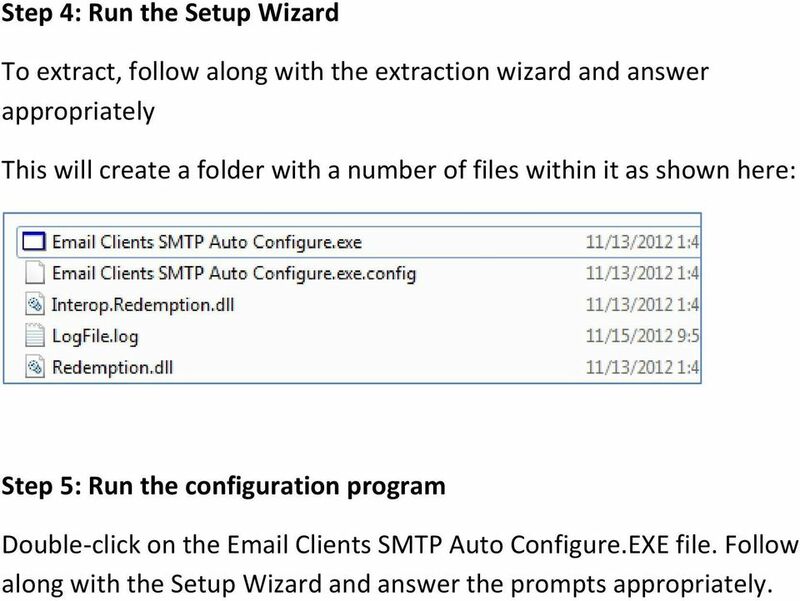 5 Step 4: Run the Setup Wizard To extract, follow along with the extraction wizard and answer appropriately This will create a folder with a number of files within it as shown here: Step 5: Run the configuration program Double-click on the Clients SMTP Auto Configure.EXE file. Follow along with the Setup Wizard and answer the prompts appropriately. 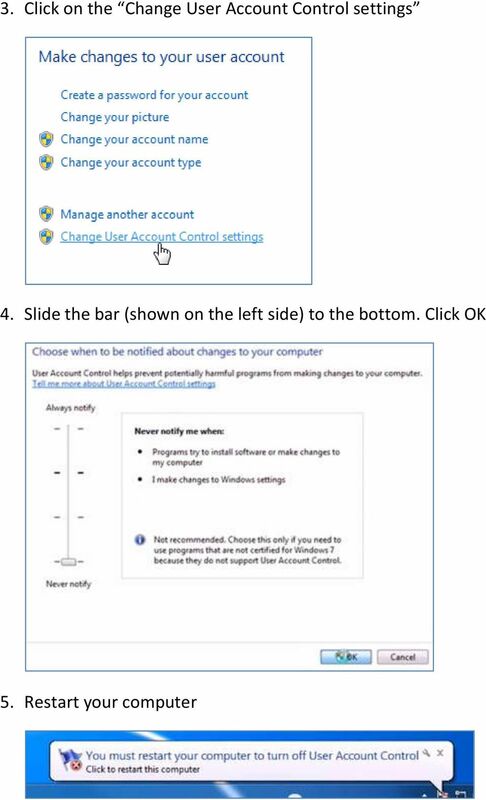 7 Step 6: Execute the Configuration program Important note: In order for the configuration program to run, you will need to have previously created profiles in either Microsoft Outlook or Microsoft Live Mail. 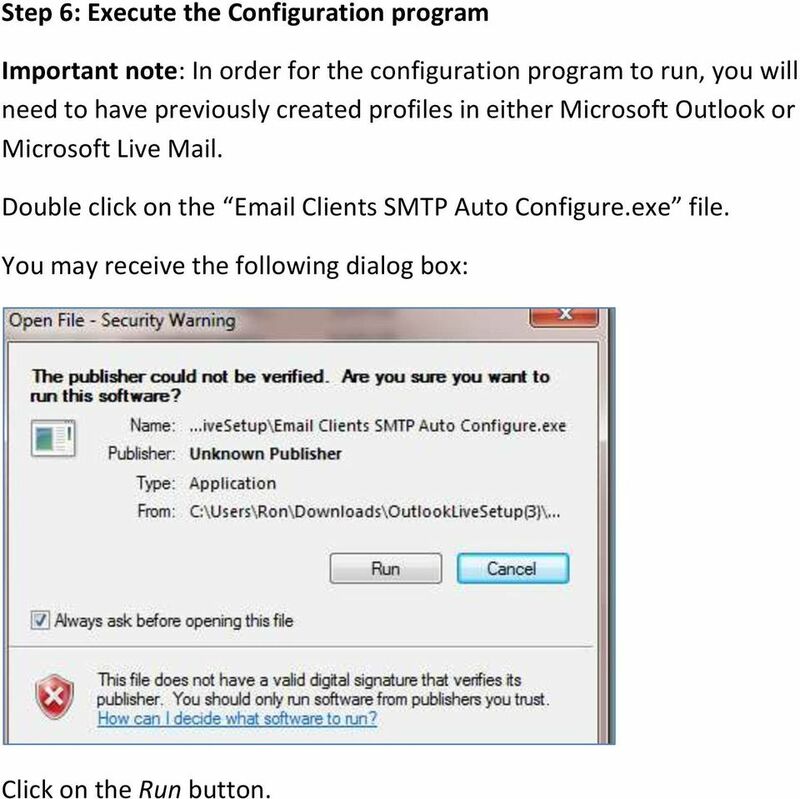 Double click on the Clients SMTP Auto Configure.exe file. 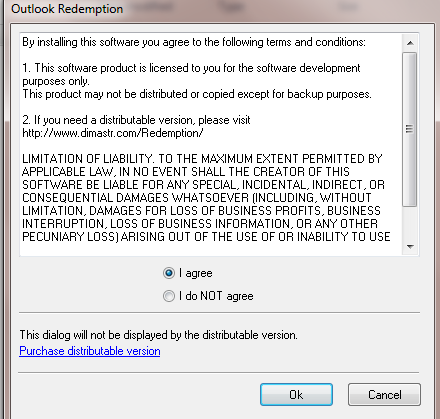 You may receive the following dialog box: Click on the Run button. 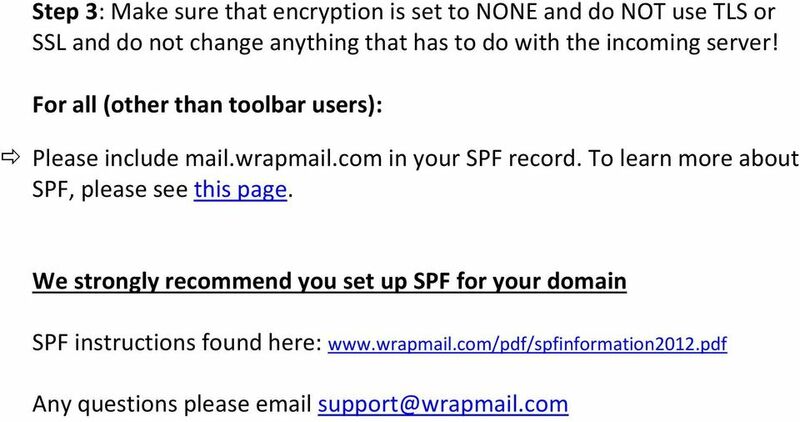 8 You will be presented with the SMTP Auto Configure window. Click on the down arrow (beside the Configure button; as shown above) and choose which client you wish to configure. 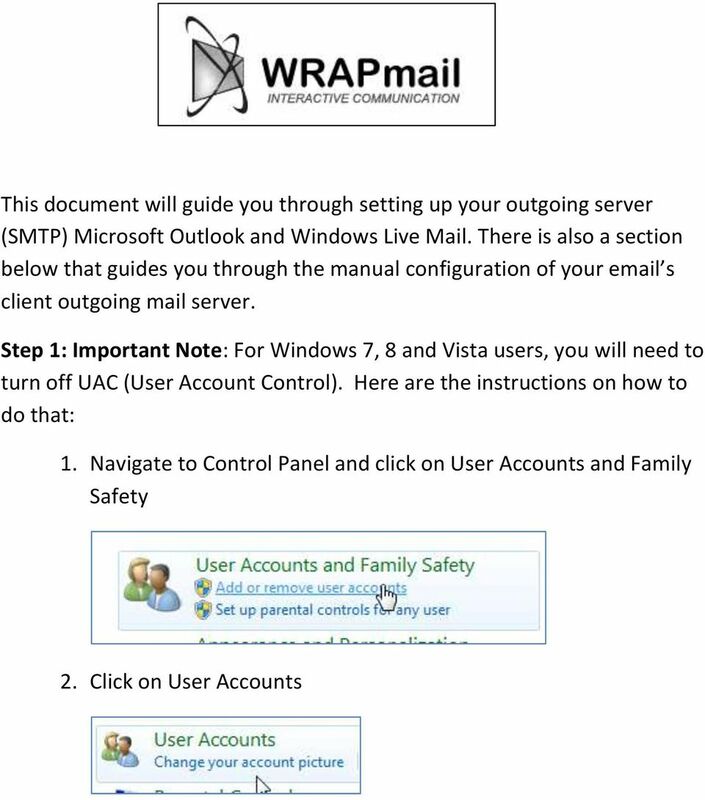 In this example, I chose Windows Live Mail. Check with profile you would like to update (place a check mark Next to the profile you wish to update) Enter your login credentials for this profile (User Name and Password). 9 Step 7: Final steps of the Configuration program Once you click on the Configure button, you should see green text on the Settings Saved. 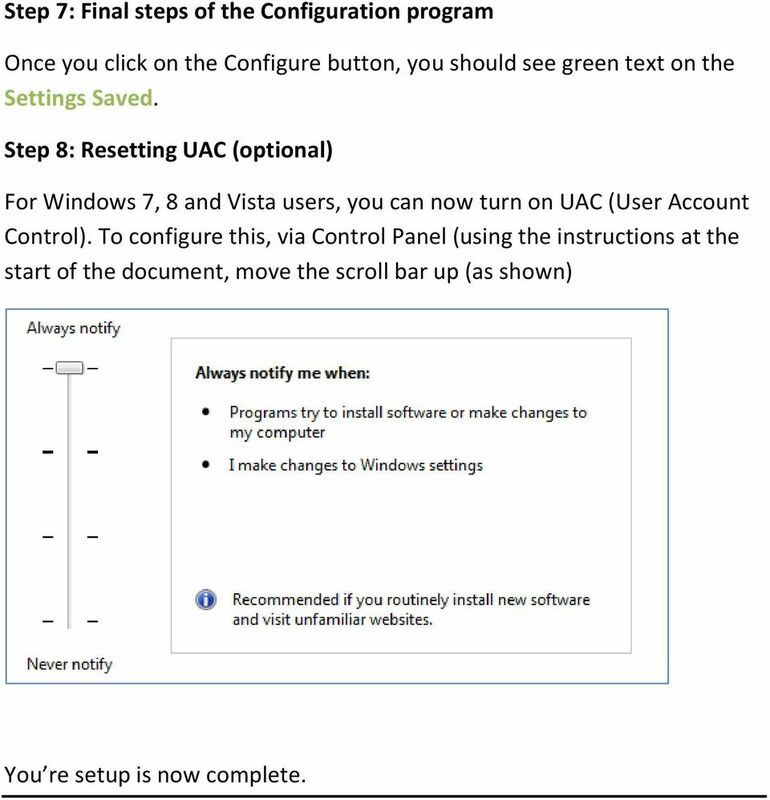 Step 8: Resetting UAC (optional) For Windows 7, 8 and Vista users, you can now turn on UAC (User Account Control). To configure this, via Control Panel (using the instructions at the start of the document, move the scroll bar up (as shown) You re setup is now complete. 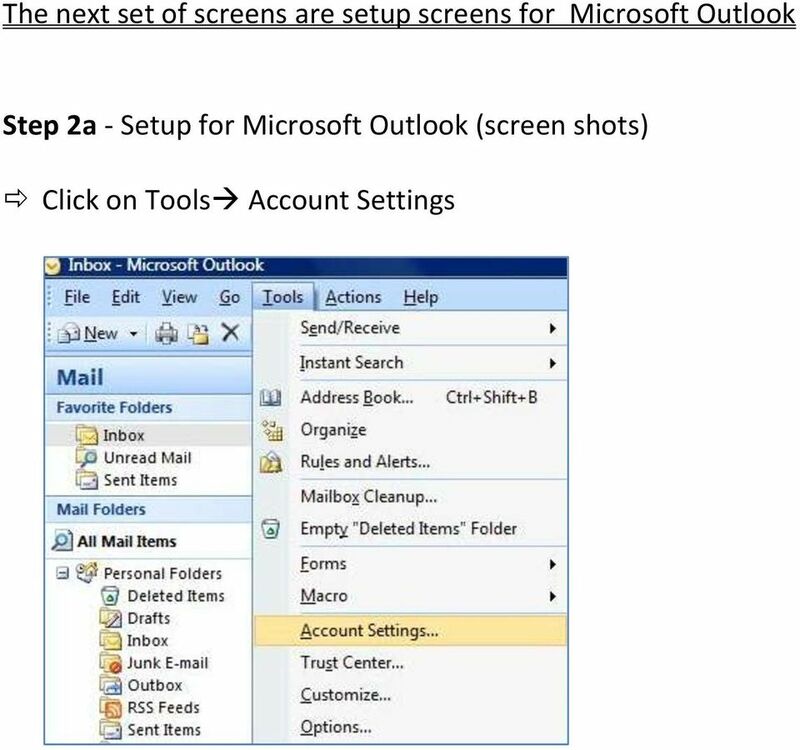 10 Manual Steps for setting up client such as Microsoft Outlook, Windows Live Mail, Mac Mail, Thunderbird, Entourage etc. 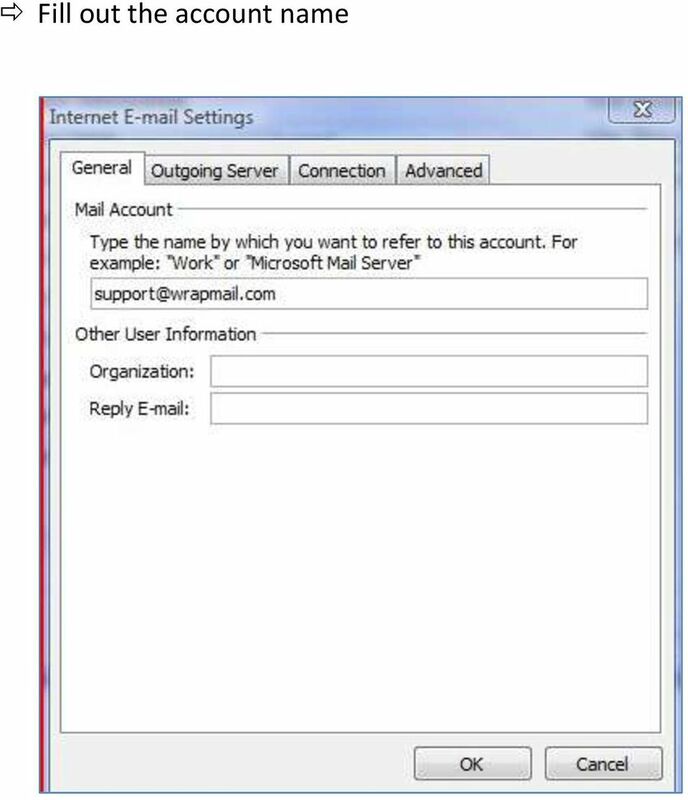 To get started with using WRAPmail the s need to pass through a WrapServer and unless you have the WRAPmail software installed on one of your servers this server is hosted by WRAPmail. 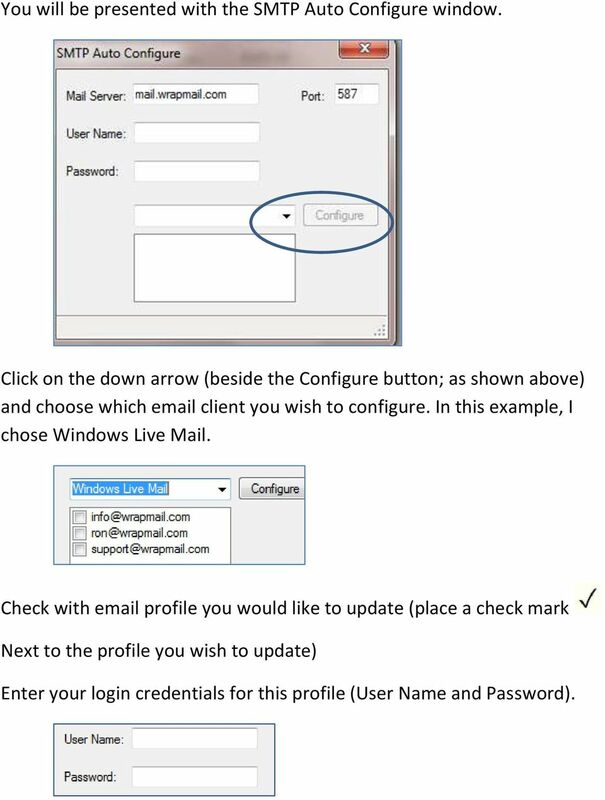 If you do not have an internal server, change the outgoing server in your client (Outlook, Mac Mail, Thunderbird, Entourage etc. 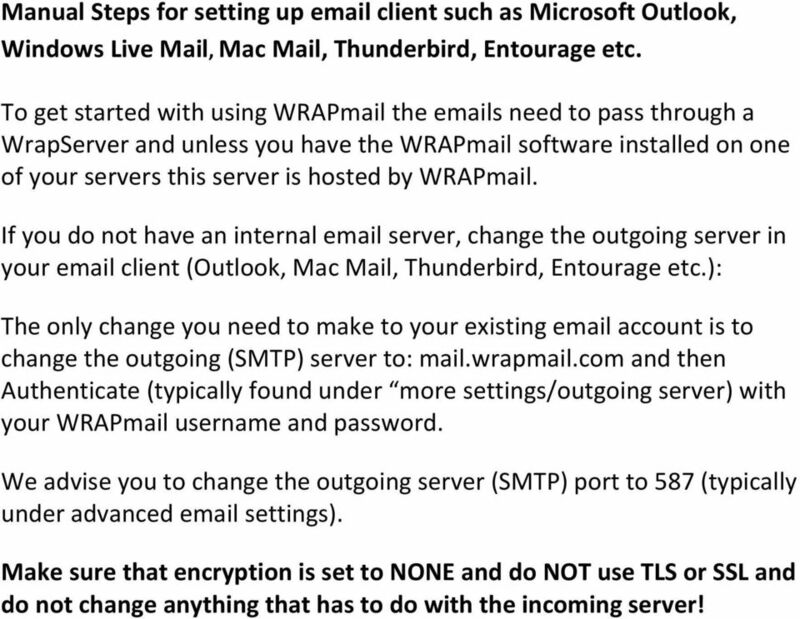 ): The only change you need to make to your existing account is to change the outgoing (SMTP) server to: mail.wrapmail.com and then Authenticate (typically found under more settings/outgoing server) with your WRAPmail username and password. 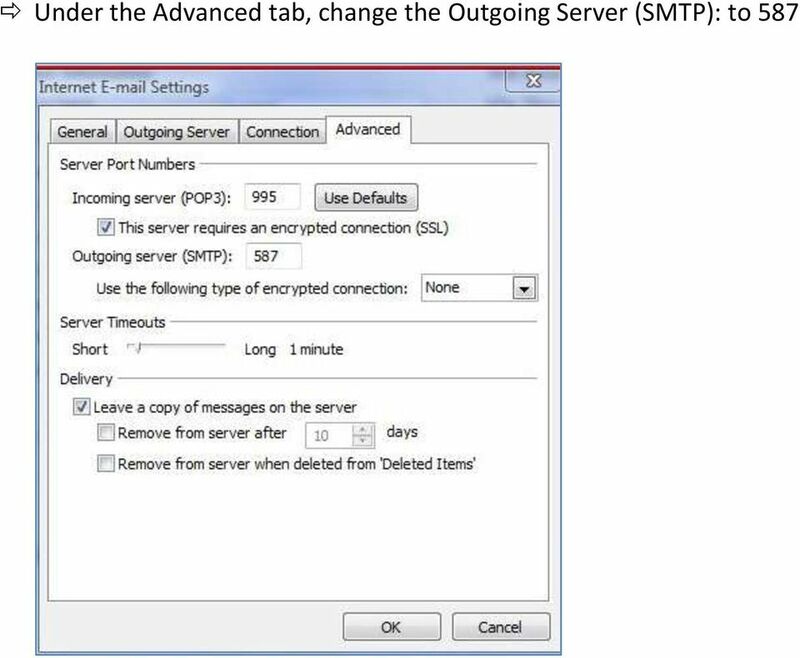 We advise you to change the outgoing server (SMTP) port to 587 (typically under advanced settings). Make sure that encryption is set to NONE and do NOT use TLS or SSL and do not change anything that has to do with the incoming server! 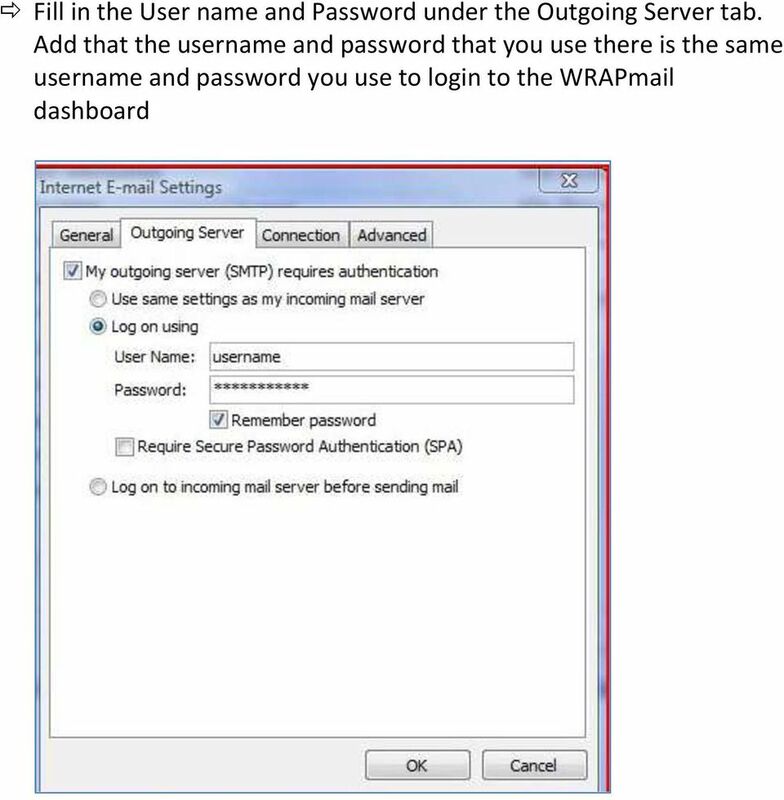 11 Here are step by step instructions how to manually setup your server: Step 1: To get started with using WRAPmail, the s need to pass through a WrapServer. 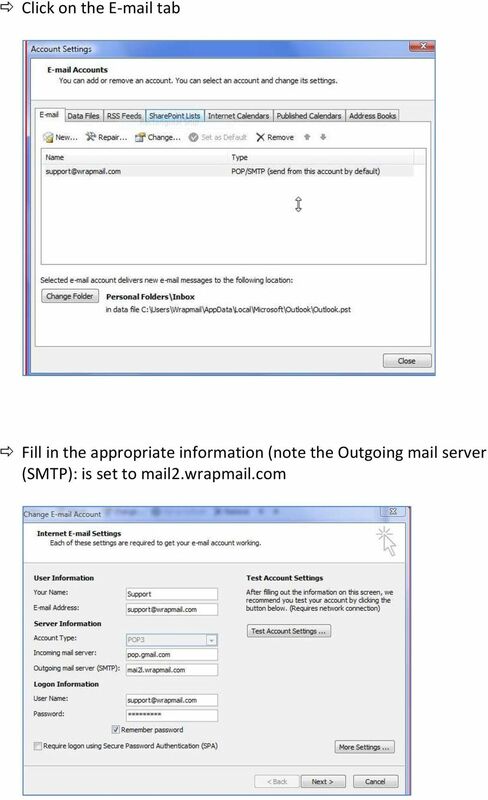 Step 2: The only change you need to make to your existing account is to change the outgoing (SMTP) server to: mail.wrapmail.com and then Authenticate (typically found under more settings/outgoing server) with your WRAPmail username and password. In order to use Elements Mail, you must have an active Elements CRM account.